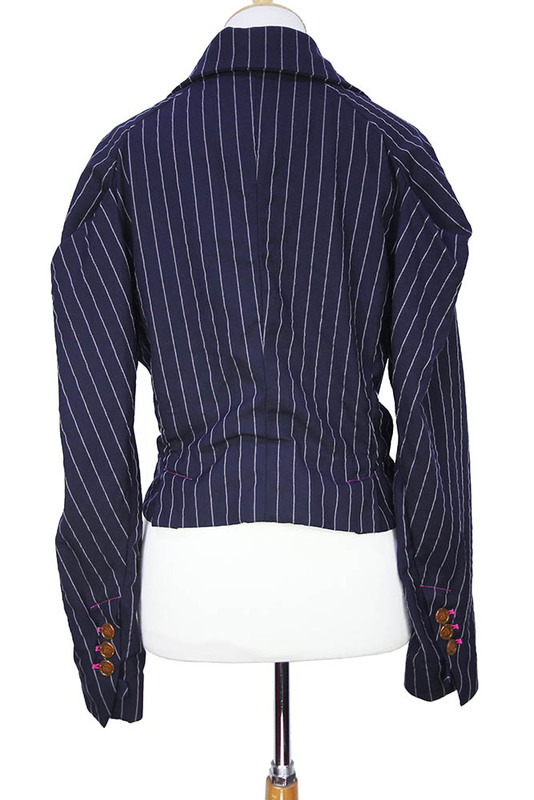 Vivienne Westwood Red Label 'Jig' short jacket in overdyed pinstripe wool. 2 button fastening. Large collar and lapels with fuchsia coloured stitched buttonhole. Single left chest pocket. 3 button working cuffs the lowest one with fabric tab., buttonholes in fuchsia colour stitching. The jacket is very full, eighties style and unpressed. Beautiful piece, very special.